When I reviewed Judge Dredd, I promised that a comparison-review would be coming in regards to its successor, 2012's Dredd. Naturally, with the DVD/Blu-Ray now out, I am delivering on that promise. First off, a bit of background information. I personally had very little interest in the 2000AD universe before seeing the film, and based on the trailer I figured it was going to be a generic action movie. However, about a week before its release, I noticed that Dredd had a staggeringly high rating of 94% on Rotten Tomatoes. This score would dwindle down to about ~75% around the release date, but by then I was sold - I had to see Dredd to get my fill of adrenaline-pumping action. First off, we'll focus on just the most important element of an action film, and that is the action itself. In this sense, Dredd delivers from the opening scenes with a blistering car chase which sets the bar for the action and extreme level of violence that is to come. The meat of the film basically revolves around a single set-piece, Die Hard style, as the characters fight their way to the top level of the Peach Tree block. Lamentably, while Dredd came up with this idea first, The Raid: Redemption was released earlier and stole a great deal of thunder for the concept. That said, it certainly is a fantastic set-up for an action film, and works to great effect here. Dredd punctuates its action sequences with some impressive uses of super slo-mo footage. Normally I dislike slo-mo in action movies because it is either a) gratuitous, b) cliche or c) all of the above (eg, 300 or House of the Dead). Some movies manage to overcome this hurdle because they work the slo-motion sequences into the story (such as Sherlock Holmes), and Dredd is definitely an example of this. In the film, some of the characters take a drug which causes the brain see the world at about 5% its normal speed, and the results are quite striking... especially when the bloodletting begins. Bullets fly and explosions go off in super slo-mo, causing quite the visceral spectacle for the viewer. These sequences also made the 3D used by far the best in any movie I have seen to date. The integration of spectacle and story are some of the most impressive elements of Dredd actually. The film doesn't waste time using exposition to set up "Chekhov's Gun". Rather, it integrates elements in naturally. For example, foundational world-building is done very quickly at the beginning of the film, but is expanded throughout the run-time: an unobtrusive shot of the sheer, overwhelming scale of the crimes occurring across Megacity 1, Dredd informing his superiors that the bodies in a shootout need pickup to be "recycled", little snippets about mutation, etc. The script does a great job of pulling us into an incredibly grimdark universe without doing so bluntly (unlike, say, Inception). Anderson's psychic abilities are another example of this, which we discover ourselves rather than have listed out to us so we know what exactly it is she is capable of. Perhaps my favourite example in the entire film is how we discover that the guns used by the Judges have "special" features... I will say no more, because to ruin the surprise(s) would be an injustice to the script and destroy some truly badass moments. In terms of characters, Dredd is much stronger than its predecessor. Judge Dredd himself, played by the always-badass Karl Urban, is very true to his character - constantly scowling, morally inflexible and devoted to the law (and no, he doesn't take his bloody helmet off). Dredd is a force to be reckoned with, an unstoppable embodiment of the law. He is difficult to relate to, but this is part of his character - he is intentionally impenetrable, basically a sci-fi Harry Calahan. While you may not relate to him, you'll certainly find yourself grinning with glee at the acts of mayhem he produces. I also appreciated that the costume department did not do a literal translation of the comics like they did in the previous film, because the result was pure camp. Instead, they opted for a more practical (and far cooler) costume design which suits his character and the darkness of the universe. The counter-point to Judge Dredd is the rookie, Judge Anderson. 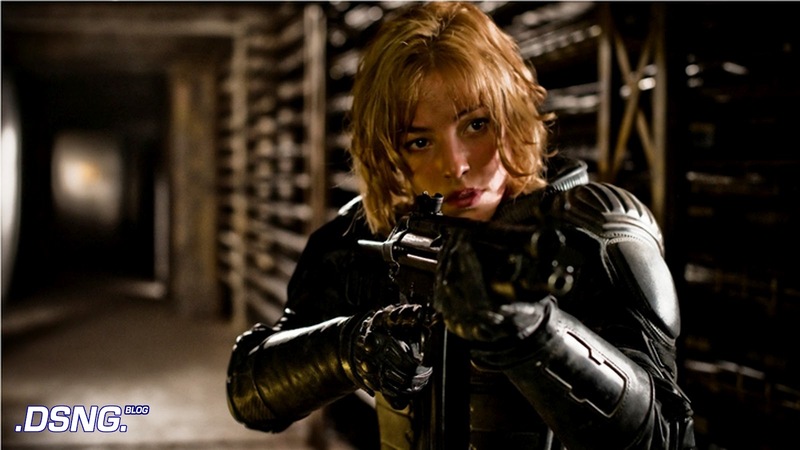 I'll admit it here and now: I fell in love with Olivia Thirbly's portrayal of Anderson. Dredd's the unstoppable badass, but Anderson is the human connection, and Thirbly did a great job of this. Unlike some sidekicks that we could name, Anderson isn't a burden either - she can keep up with Dredd most of the time, and actually exceeds his abilities in others. Most impressively, this all happens without falling into the usual Hollywood cliches - Anderson is not a love interest (see any boy + girl pairing in an action movie), she is not a man written as a woman (eg, Sarah Connor in Terminator 2) and she is not an aggressive attempt at shoehorning in feminism (eg, The Enforcer). Instead, she is a very natural addition and feels like a real, identifiable character. Finally, rounding out the important characters is Lena Headey's sadistic villain, Ma-Ma. The way in which Headey chooses to play her is as a very subdued, but sinister manner. She rarely outwardly displays any signs of aggression, but there is a palpable sense that she would willingly carve up any of the thugs she surrounds herself with should it please her. It might have been interesting to see how a hammier villain would have been in this film, Ma-Ma is certainly a distinct threat to the heroes throughout their ascent to the 200th floor of Peach Trees. One of Ma-Ma's underlings, Kay, is also given a bit more of a background than you would expect for a common thug, but Dredd, Anderson and Ma-Ma round out the important characters in the story. 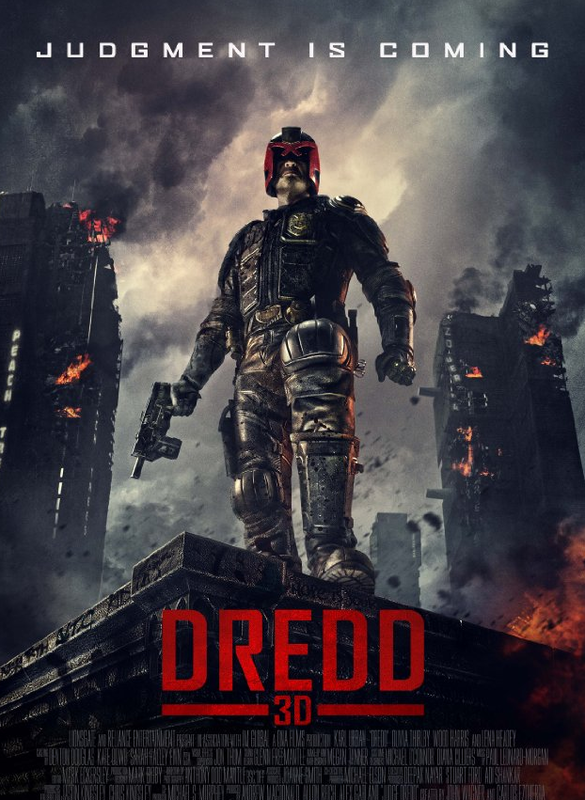 While I have given nothing but overwhelming praise for Dredd thus far, I must admit it is far from the best film ever (or even of 2012). 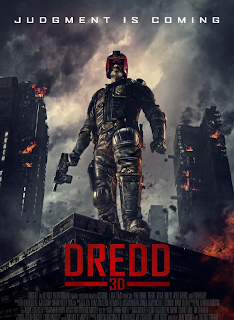 However, in a year where many of the biggest films had some major flaws (eg, Prometheus, The Dark Knight Rises, The Hobbit, etc), Dredd stands as one of the few in which its inner-workings are damn-near flawless. While it's not exactly lofty or revolutionary, its individual components are greased to perfection, making Dredd a great example of why a well-polished work can be better than a intriguing failed experiment. If nothing else, Dredd harkens you back to 80s-style action films with its sheer amount of violence, badass-ery and one-liners, while marrying itself to modern conventions in the process. It's truly a tragedy that it under-performed at the box office and will likely not see a sequel, but one can always hope. Ah now there was a good enjoyable action film. Especially when you round it off with Cabin in the Woods! I really hope that the flick made enough money in the ancillary markets to warrant a sequel because Dredd is definitely a promising start.